PawSau Pet Sitters started in March of 2017 when a friend asked if we wanted to watch cats over a weekend. 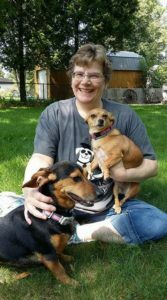 Soon after, that friend referred us to another friend, and as of 2019, we’ve cared for over 150 households in Central Wisconsin and have expanded to four Pet Care Specialists and two Co-Owners. We have over 70 five star reviews on Facebook which we would love you to read here. After all, there’s no better recommendation than your friends and neighbors, right here in Central Wisconsin. We care for just about any domesticated animal you can think of, including farm animals such as horses, chickens, goats and sheep. From puppies to Super Seniors, Health Nuts to Medicated Couch Hoggers, we promise to provide complete, focused care while respecting your privacy and personal space. Hi, I’m Shannon! I’m the Co-Owner and Office Manager of PawSau Pet Sitters. I “run the show” from my home office in downtown Wausau, and when you set up a new client meeting with us, I’ll be the one you’ll meet! I’m the mom to one 15 year old boy, a minchi, a husky and a couple of cats and rats. I dream about opening a pet food pantry for low income families and hosting an All Pet Expo in Wausau. I love this community, and am so proud to be able to offer this service to our friends and neighbors. 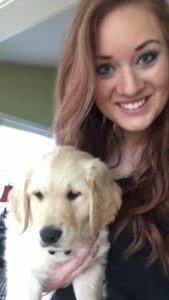 Hi, I’m Brittany I’m the Co-Owner and main caregiver at PawSau Pet Sitters. I have been with the company since March 2018 (with many months of helping out before then). I have a BS in Criminal Justice and years of experience in security . I love working with all types of animals and seem to have a talent for befriending those with anxiety or aggression issues. At home, I have several dogs and cats and five rats. Hi, my name is Valerie! For as long as I can remember I have had a passion for animals, and have always had pets of my own and watched them for other people as well to ensure they’re getting the best care possible when their owners are away. I currently have two cats of my own; Boo and Meowilyn Monroe. I am most experienced with small animals such as dogs, cats, birds, guinea pigs, etc. but am always willing to learn! I am also well versed when it comes to administering medications to animals that may need it, and giving older pets and pets with special needs the extra care they require. In 2015 I was employed for the summer by the Wausau Police Department as a Community Service Officer (CSO), which in turn had me working in Animal Control for both Wausau and Weston, responding to help people with animals that had gotten loose, strays that had been found, and general ordinance compliance to ensure that everyone’s pets stayed safe, happy and healthy. I am looking forward to working with you and your furry family members. Hello! My name is Sarah and I am so excited to join the PawSau Pet Sitters teams of Pet Care Specialists. I love animals of all kinds (well, snakes are questionable). 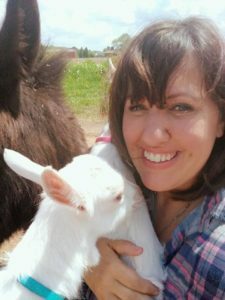 Growing up as a child, my family always had a dog, and when my children were young we always had animals … dogs, cats, birds, rats, hamsters, gerbils, rabbits, we even had a mini horse, donkey, goats and pigs at one time. So I definitely had have had my share of caring for and establishing my love for animals. My partner and I currently have two little pups and a cat together. 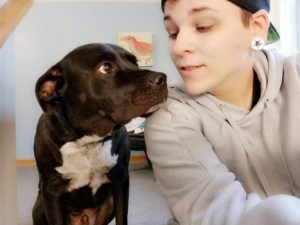 She works at Wausau Animal Hospital and is also the owner of “The Bark Academy”, her dog training business where she works mostly with dogs with anxiety/behaviors, so we always have multiple dogs around us. 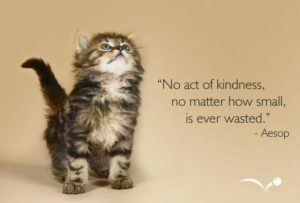 I love animals and I will care for your pet with the love and consideration that I would give to my own. We would love to come to your home for a complimentary meeting. Let us know what services and dates you’re interested in, and we’ll arrange a time to meet!